Crown dovetail square 1 in 8 ratio 3 inch. 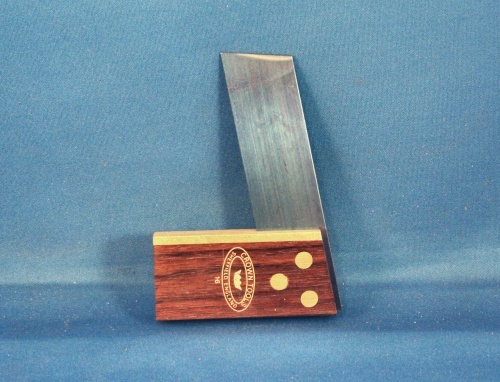 The Crown hand tools dovetail square is made from kiln dried rosewood and brass with a blued steel blade. The 1 in 8 ratio angle is designed to be used when marking out dovetail joints in hardwoods.